We recently hosted a forum with the Asia Foundation on Philanthropy and Climate change. We hoped to encourage Asian funders to draw the lines between climate change (something that seems often hard for the individual to grasp) and the more tangible and immediate air pollution, forestry degradation, water scarcity etc. We also hoped to then get them to think beyond the environment to a wider philanthropic portfolio and to consider the impact of climate change on livelihoods, health, education – even how funders in the arts might get involved to build awareness around the need to act. Why? We feel that given the enormity of the problem, it’s often hard for the individual funder, the family office foundation, to see how they might act in any way that is impactful. But what we found was remarkable energy in the room. 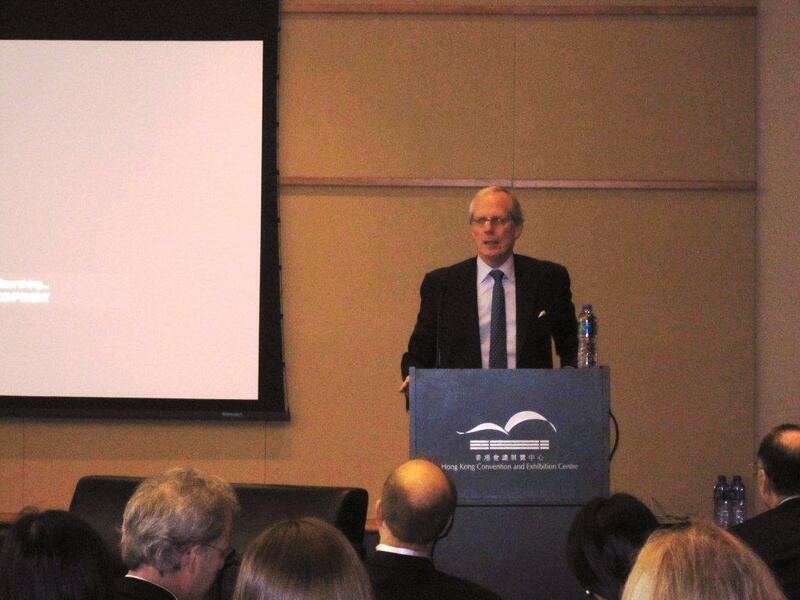 Rather than despair, we felt that participants left informed and energized by our panelists and keynote speaker, Stephen Heintz of Rockefeller Brothers Fund, which has an excellent environment and health, southern China program, managed by Shenyu Belsky. Dr. James Hansen, one of the world’s leading climate scientists and head of the New York’s NASA Goddard Institute for Space Studies, provided an overview of climate science – setting the scene for discussion. Dr. Hansen, an advocate for a carbon tax, spoke of our inertia in the face of an emergency, the possible extermination of species, receding glaciers, bleaching of coral reefs, acidification of the ocean, basically that we are a planet out of balance. Heintz also spoke about urgency, describing climate change as a “planetary threat that knows no bounds.” He emphasized the particular threat in Asia – that of 16 countries facing extreme risk, five are in in this region and they are among the most impacted, low-lying Bangladesh for example. In all, he said, global warming could cost southeast Asia 6-7 percent of GDP. Clearly, Asia is squarely at the intersection of climate and development and he emphasized the need for new ideas and new ways of thinking, something that accurately reflects current realities and anticipates new needs. It is easy, Heintz pointed out, to be discouraged by the science, yet philanthropy, government, civil society and the private sector all have roles to play. In reality , it is imperative that we act because, inevitably, climate change will impact every other issue that we are working on. Global grant-making, Heintz said, has increased dramatically over the past decade yet environmental issues are way behind, receiving only 5 percent of funding. Resources targeting climate change specifically, of course, are far less. The philanthropy sector, Heintz said, can play a crucial catalytic role, take risk, experiment, support advocacy to change public policy and trigger larger systemic change. Important will be innovative public-private partnerships, helping to develop emerging models of low-carbon prosperity. His was an excellent speech. Our three panelists, Runa Kahn of Bangladesh’s Friendship, Dorjee Sun of Carbon Conservation and John Liu, an environmental filmmaker and journalist based in Beijing, spoke of the practicalities of working effectively within this context – and they also were inspiring. Runa spoke about making life possible for the 4 million people living in impossible circumstances in Bangladesh’s northern chars, John Liu on a massive ecological restoration project in China and showed the results, Dorjee on carbon, community and market solutions for saving forests. The entire session was expertly moderated by the Asia Business Council’s Mark Clifford who managed to draw together the discussion, keeping an often amorphous and difficult topic moving toward practical solutions and away from fear. 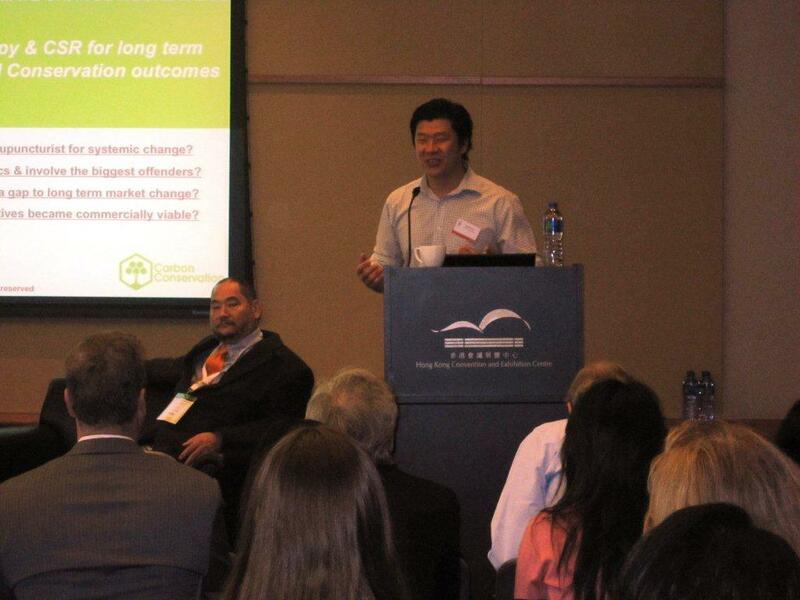 The forum was a private side event to the C40 Climate change conference early this month organized by the Civic Exchange and supported by the Hong Kong government and Jockey Club Charities Trust. It would be great to hear about other experiences linking climate change with a wider philanthropic portfolio, about nudging funders into action in this arena. I am a professor at CEIBS (in Shanghai) of sustainabiliy responsible leadership, and consultant to a wide range of stakeholders, and if there is one thing I am constantly battling it is the size of the problems. It has been a problem of the last few years as the climate change issue began making headlines, and those reporting or fundraising, had no vested interest in making the intangible tangible. So.. for the media, the larger the problem, the wider the range of analysis (and analysts) that could be involved and the more likely to capture the attention of audiences. For NGOs, much the same, but it was about fundraising. Larger issue, larger budgets. Now, this cycle isn’t necessarily a bad one, however if the goal was to effectively engage donors and citizens, then there were going to be some translation issues – as you have pointed out. Where this has lead me is to move away from Carbon, and to focus (capture) the crowds I speak with about the problems that cause carbon. Buildings, energy, etc.. and their impact on the environment in the forms they take (coal production causes SOX/ NOX/C emissions – SOX causes acid rain – acid rain depletes farm land and contaminates water).. and then I focus them to develop solutions under this framework. From my experience, up front this works. People understand, and want, clean air food and water more than they understand melting ice caps and polar bears, but the size of the problems still present a problem. Excellent summary for those of us who missed all or part of it. Many thanks.